The Backstreet Boys were, in many ways, a contradictory band. Comprised entirely of white middle-class Americans, the group sang a hybrid of new jack balladry, hip-hop, R&B, and dance club pop that originally found its greatest success in Canada and Europe, with their 1996 debut album charting in the Top Ten in nearly every country on the Continent. Ironically, success in their native land did not follow until nearly two years later, when teen pop enjoyed a commercial explosion in America. 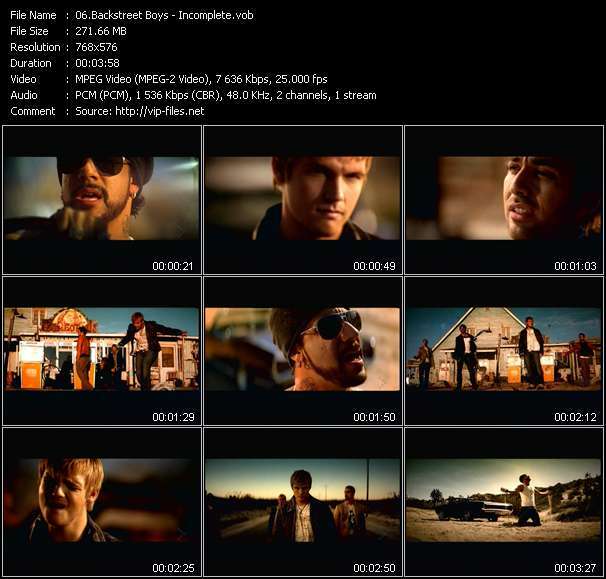 Along with such artists as *NSYNC and Britney Spears, The Backstreet Boys rose to the forefront of popular music during the turn of the 21st century, with albums like Backstreet's Back, Millennium, and Black & Blue enjoying worldwide success.The core of The Backstreet Boys was comprised of cousins Kevin Richardson and Brian Littrell, both of whom hailed from Lexington, KY. The two began singing in local church choirs and festivals while they were children, performing doo wop and R&B songs in the style of Boyz II Men. Two of the group's other members, Howie Dorough and A.J. McLean, were natives of Orlando, FL, who met each other ( as well as transplanted New Yorker Nick Carter ) through auditions for local commercials, theater, and television. At one audition, the three discovered that they shared an affection for classic soul and could harmonize well together. Inspired, they formed a vocal trio. Shortly thereafter, Richardson moved to Orlando, where he became a tour guide at Disney World and concentrated on music at night. Eventually, he met Dorough, Carter, and McLean through a co-worker, and the four decided to form a group, naming themselves after an Orlando flea market. Littrell was later invited to join, thus turning the group into a quintet. With the help of Louis J. Pearlman (who would later rise to mogul status on the strength of his teen pop acts), The Backstreet Boys secured management from Donna and Johnny Wright, the latter of whom had managed New Kids on the Block during the 1980s. The Wrights put the group out on the road and enlisted several A&R reps to attend the performances, which eventually resulted in a contract with Jive Records in 1994. 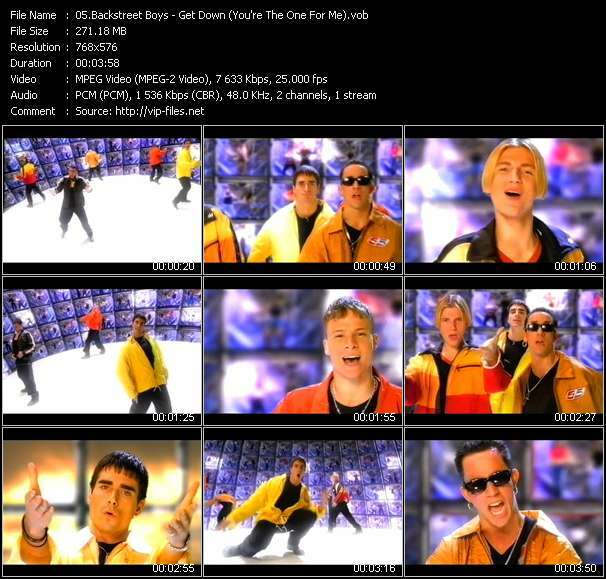 Jive set The Backstreet Boys up with producers Veit Renn and Tim Allen, who helped shape the group's eponymous album. Released throughout Europe in late 1995, the record enjoyed considerable success, spending several weeks in the Top Ten in most Continental countries where it charted. In the U.K., The Backstreet Boys were named Best Newcomers of 1995 at the Smash Hits Awards thanks to their international hit single "We've Got It Goin' On." After scoring another European hit with "I'll Never Break Your Heart," the group released its album in Canada. 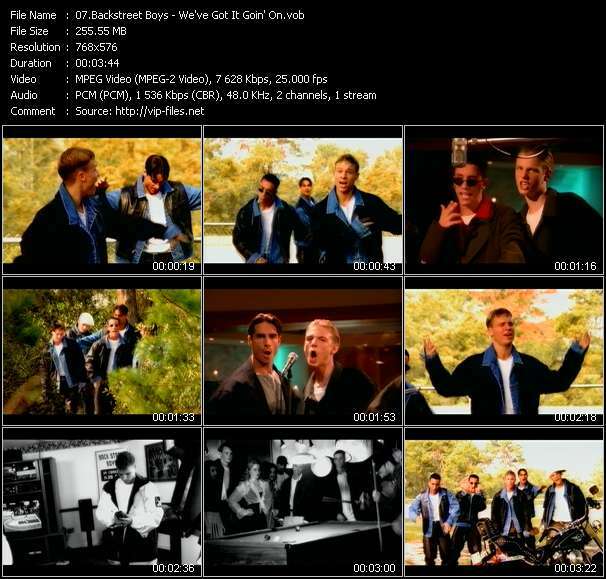 Despite The Backstreet Boys' popularity in Europe and Canada, "We've Got It Goin' On" stalled in the lower reaches of the U.S. charts in 1995. 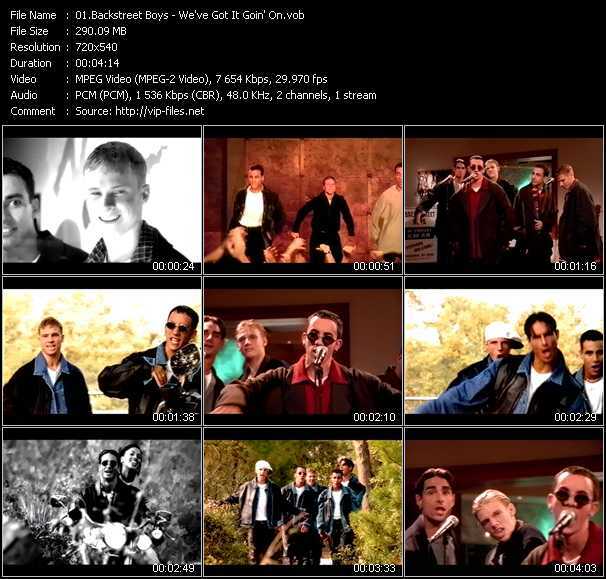 Combining their international singles with new tracks (which also formed the centerpiece of that year's European-only album Backstreet's Back), the American version of Backstreet Boys finally jump-started the group's success at home. "Quit Playin' Games (With My Heart)" and "As Long as You Love Me" proved to be popular singles, with the former track climbing to platinum status. 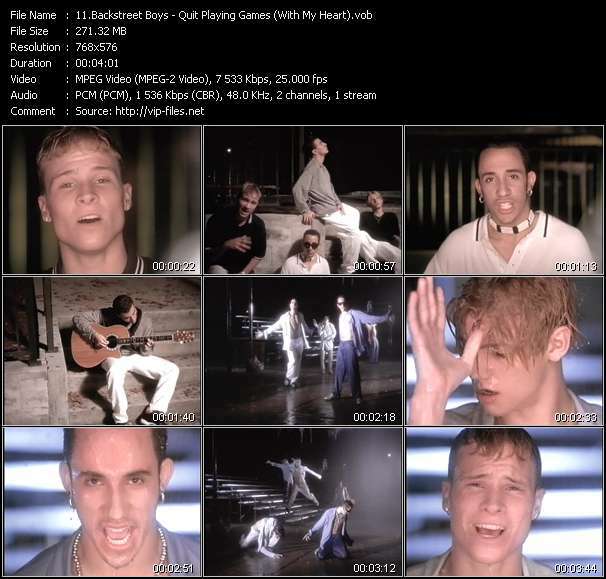 The album continued to spin off hits well into 1999, with "Everybody (Backstreet's Back)," "I'll Never Break Your Heart," and "All I Have to Give" all landing on the charts. Both the former and the latter were platinum Top Five hits, and the album eventually sold an astounding 14 million copies in America alone. In the meantime, the group saw its share of turmoil as Littrell underwent surgery in early 1998 to correct a congenital heart defect. Additionally, the Boys became embroiled in lawsuits against Pearlman and the rest of their management over royalties. When the dust settled, Pearlman remained the group's manager ( though the rest of the team was fired ) and the Boys began work on their follow-up album. Millennium was released in the summer of 1999 and debuted at number one, with first-week sales topping one million copies. Buoyed by songs like "I Want It That Way," "Larger Than Life," "Show Me the Meaning of Being Lonely," and "The One," Millennium shattered a number of records, including the highest amount of shipments in one year and the most copies sold during an album's inaugural week. The group released its Christmas Album before the end of the year, by which time Millennium was well on its way to sales of 12 million copies in the U.S. On an international level, the album eventually sold more than 40 million units. Once again, the group struck immediately after its previous album stopped producing hits, issuing Black & Blue in fall 2000. More Top 40 singles followed, including "The Call" and "Shape of My Heart," and Black & Blue followed its predecessor by selling over one million copies during its first week. A popular tour supported the album, but after seven years of nonstop touring and recording, the band agreed it was time for a break. Brian Littrell became a father while Kevin Richardson tried his hand at Broadway and took a starring role in the musical Chicago. Nick Carter released his solo album Now or Never in 2002, Howie Dorough did charity work for the Dorough Lupus Foundation in honor of the sister he had lost to the disease, and A.J. McLean made headlines with his stint in rehab. In 2004, The Backstreet Boys re-formed and began work on a new album. The result, Never Gone, was released in June 2005 to platinum sales, followed by Unbreakable in 2007. The latter was the first album not to feature all five original members, as Kevin Richardson had quietly exited the group in 2006. It was also the group's first album not to go platinum, a fact that seemingly cemented the end of The Backstreet Boys' heyday. Accordingly, the singers enlisted some serious star power for their next album, soliciting help from the likes of Ryan Tedder, Max Martin (who had penned "I Want It That Way" ten years prior), Dr. Luke, and T-Pain. When songs from their recording sessions were leaked online, the group took the setback in stride, using their fans' feedback to help steer the remainder of the recording process. This Is Us was ultimately finished in mid-2009 and scheduled for release later that year.